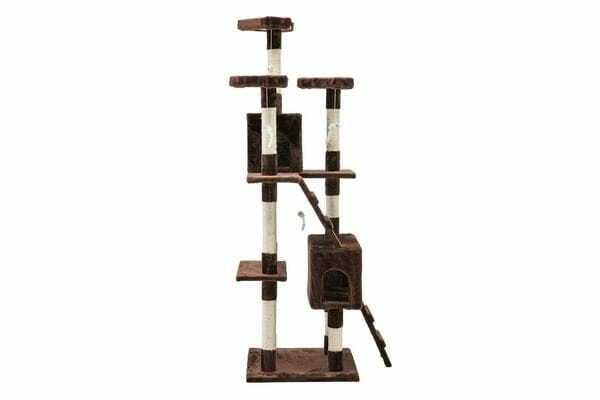 Your ever active cat needs a place to let it be itself. And the i.Pet Cat Scratch Tree is just the perfect thing to cater to your feline friend’s natural instincts. 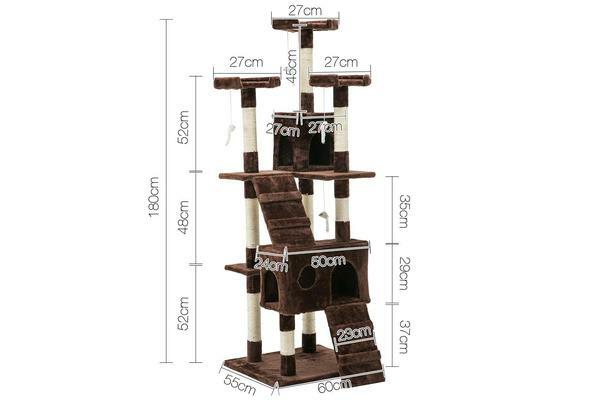 Designed to be a condo that exudes a sense of security, the 1.8m Scratch Tree features cubby holes and platforms of various heights to allow your pet to jump, hop, skip, scratch, rest and nap to its heart’s content. And as for its claws maintenance, the fully wrapped 7cm thick sisal covered poles are ideal for your pet to practice her daily regime of keeping its claws in good shape. Besides, it also helps to keep your pet off your expensive furniture too. Made from E1 standard board and natural sisal, the entire unit is both pet and eco-friendly with durable and longlasting qualities. 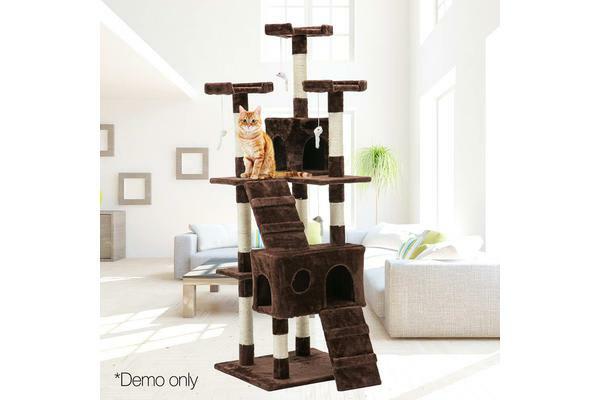 Best of all, the Scratch Tree is upholstered with a plush velvety surface for extra comfort and style.